BUY FOR LE$$ is passionate about our children. One way we are able to support the children of our community is with a program called Tapes For Education. With this awesome program, you can help your child's school earn FREE school equipment and supplies by shopping at any BUY FOR LE$$!! Simply save your receipts and send them to your Carl Albert High School. What an easy way to help out your child's school. All you have to do is SAVE your register receipts from BUY FOR LE$$ stores and give them to CAHS or drop them in the CAHS Box located inside the Buy for Less store. 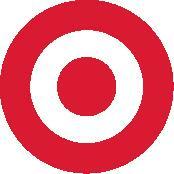 Since 1997, Target has donated over $387 million to K–12 schools. Support your school by enrolling today. Talk about extra credit! Use the REDcard, and Target will donate 1% of your REDcard purchases made at Target and Target.com to help the eligible K-12 school of your choice. Choose CAHS!! !